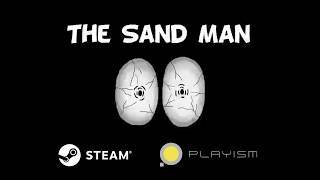 The Sand Man on the Playism Store | Bringing a different breed of indie game to the world. The monster inside the closet. So you’re not sleepy yet, hm? In that case, I’ll tell you a scary story. It’s so scary you might not be able to take it. This is the second title in the Strange Man series, developed by Uri Games. In The Sand Man, you play as Sophie Grundler, a girl suffering from Insomnia. Unable to sleep and exhausted, Sophie wanders into town to discover that everyone else has fallen asleep. After attempting to wake those she knows, the true terror of her reality awakens and she must make the decision to save everyone. Will she succeed with the exhaustion setting in? What do you think about The Sand Man?